Davis has been a church planter in the United States, France and Romania for over 35 years. He already holds degrees from Bob Jones University (B.A. ), Reformed Theological Seminary (MATS), Calvary Baptist Theological Seminary (M.Div. ), and Trinity Evangelical Divinity School (D.Min.in Missiology). He also holds hold two degrees in the French language from the Université de Nancy and the Ministre de l’Ėducation Nationale de France (DALF C-1). Davis serves as a bi-vocational elder at the multilingual Grace Church of Philly in Philadelphia, trains pastors in French in Cameroon, and is a certified drug and alcohol therapist. “Theological and Missiological Competencies for Cross-Cultural Workers” discusses cross-cultural ministry from theological and missiological perspectives and includes recommendations for churches, missionary candidates and mission agencies. 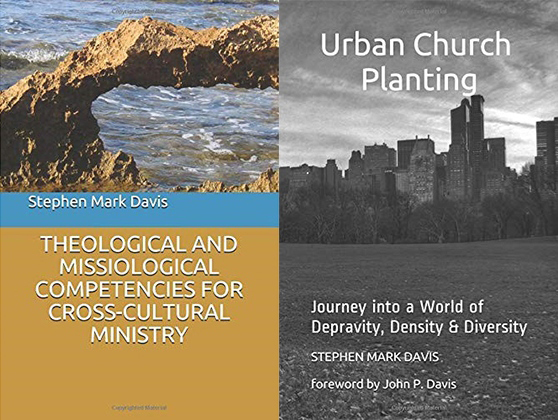 “Urban Church Planting: Journey into Depravity, Density & Diversity” draws on Davis’ church-planting experience – both in the United States and abroad – to give a realistic perspective on urban church planting. Learn more about CIU’s fully online Ph.D. in Intercultural Studies here. Excitement is building on the CIU campus with a dramatic increase in enrollment and on-campus renovations. Information on enrollment is available here or call (800) 777-2227, ext. 5024.